It's great when you can hold a short ROI for your solar system, but whats even nicer is saving money without putting money into the solar system! SunRenu is a solar finance expert in commercial solar systems. Specializing in small commercial solar installation and finance, SunRenu has a wide variety of financing structures to meet your goals. PPA stand for Power Purchase Agreement, and SSA stands for Solar Service Agreement. 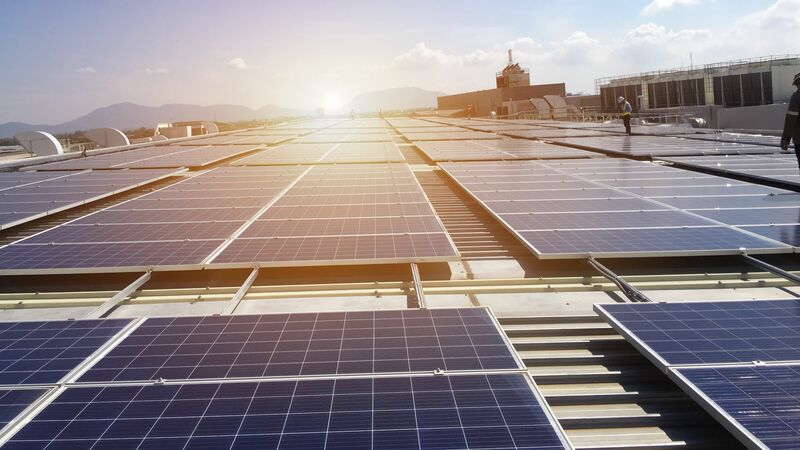 These two solar financing options are essentially the same, and is a third party Owned solar system that is a power purchase contract with a specified rate, rate escalation, and term. This allows the solar system Owner to take the tax credits and pass along the savings to the Customer. Most non profit systems are financed through PPA’s/SSA’s in the United States. This is the most common agreement among 501 c 3 entities. The rate, term and escalation, all are a function of cost and production. Those two items are critical and dictate the terms of the deal. For more information or to see what rate your building/entity is eligible for, please fill out our Quick Quote form below. There are two kinds of solar leases available. One where the leasing company takes the tax benefits and passes on a lower payment (Operating or True Lease), the other is where the Customer takes the tax benefits and has a $1 buyout at the end of term (Capital Lease). Typical Operating Leases are for 7 years, but SunRenu can offer up to 15 years depending on credit of the Customer and project economics. Capital Leases are typically for 5-7 years, however SunRenu also offers these up to 10 years OAC. Leasing on non profit solar systems negates the tax credits, so most solar leases are on for profit entities/buildings. Want to purchase the solar system, but don’t have a need for the tax benefits? Don’t worry, we have a financial structure for that. SunRenu has prepaid financing that allows a third party to “own” and monetize the tax benefits, through a discount to the project cost. This allows you to have to come up with less money. Typical discounts range from 15% - 20%, so that means you only need to pony up 80% - 85% of the total cost! The third party owns and maintains the system for the first 5 years (another benefit) and turns the system over to you in year 6 after the tax credit recapture period. This is a great solution for the non profit that wants to own the system, but is looking for a way to monetize the tax benefits. Contact us today if this structure is what you have been looking for! Most customers are looking for the longest amortization with the lowest interest rate. SunRenu can facilitate loans for your solar system, but we highly encourage going first to your banking relationship and seeing what they can do. Banks are all about relationships and to achieve the lowest rate possible, usually requires your deposits and business. We will be there every step of the way to walk the bank through what the solar system will do for you and your monthly expenses in order to show them that solar puts you in a better debt coverage ratio position than without solar. We speak bank, and also speak solar. Translating the two is an art form and we are happy work with you and your bank. If your bank doesn’t want to play ball, let us introduce you to other solar lenders that can help limit your out of pocket costs on your solar system.